Political resistance at the state level shouldn’t deter federal biologists from releasing more Mexican gray wolves into the wild, according to conservation activists, who say that such releases are needed to prevent the wild population from becoming genetically crippled. In a letter to federal officials, biologists and wildlife advocates urged Secretary of the Interior Sally Jewell to release at least five more packs of wolves into the Gila National Forest in New Mexico through the end of this year and into 2016. The “perilously low” number of breeding pairs makes the wolf population vulnerable to inbreeding depression that could send the population into a downward spiral, more than 40 biologists and conservation groups warned in the Oct. 8 letter. According to the latest census number, 110 wolves, including just eight breeding pairs, live in the combined Gila National Forest in New Mexico and Apache National Forest and Fort Apache Indian Reservation in Arizona. Fewer than 15 wolves live in the wild in Mexico. Conservation activists say there’s plenty of room for wolves to roam in the Gila Wilderness, and that more hesitation will simply delay the targeted recovery of the species. The U.S. Fish and Wildlife early this year expanded the area where captive-bred wolves could be released to include the 3.3-million-acre Gila National Forest. The Gila is the fourth-largest national forest in the country and encompasses the world’s first official wilderness area, designated in 1924, that was protected from construction of roads. The Gila also supports thousands of deer, elk and other animals on which wolves prey, thereby overall strengthening such animals’ herds and preventing overgrazing. Yet more than half of this national forest has no wolves. — Our thanks to Michael Markarian for permission to republish this post, which originally appeared on his blog Animals & Politics on December 9, 2014. The European Commission has suspended the import of horsemeat from Mexico to the European Union due to food safety concerns, and it’s a decision that has huge implications for the slaughter of American horses for human consumption. Horses wait in pens at the U.S. border before being transported to Mexico for slaughter. Photo: Kathy Milani/The HSUS. Killer buyers export tens of thousands of horses from the United States to Mexico each year, often outbidding horse owners and rescue groups, just so the animals can be inhumanely butchered, shrink-wrapped, and air-freighted to diners in Belgium, France, Italy, and other EU nations. In fact, according to an audit published last week by the Commission’s Food and Veterinary Office, 87 percent of the horses slaughtered in Mexico for export to the EU came from the United States. The audit paints a grim picture of serious animal welfare problems both during transport and on arrival at the slaughter plants, with controls on the effectiveness of stunning the horses described as “insufficient” during slaughter. Because American horses are icons and companion animals, and not raised for human consumption, they are given drugs and medications throughout their lifetimes that are never intended for the food system—ranging from common painkillers such as “bute” for treating ailing or lame horses, to cocaine and cobra venom, and other forms of “doping” in the horseracing industry. These random-source horses are rounded up by bunchers, and regardless of whether they’re ultimately killed in the United States, Canada, or Mexico, there is no system to track medications and veterinary treatments given to horses to ensure that their meat is safe for human consumption. It’s a free-for-all when this doped-up meat is peddled to foreign consumers. The horse slaughter industry is a predatory, inhumane enterprise. They don’t “euthanize” old horses, but precisely the opposite: they buy up young and healthy horses, often by misrepresenting their intentions, and kill them to sell the meat to Europe and Japan. And these are the special interests that have been lobbying so hard to use our tax dollars to bring back horse slaughter in the United States, and to block legislation forbidding the export and long-distance transport of horses for slaughter in Canada and Mexico. Federal law currently prohibits the inspection of horse slaughter plants on American soil, and we’re hoping that “defunding” provision will be extended when congressional appropriators release the “cromnibus” package this week. And ultimately, we must pass the free-standing Safeguard American Food Exports (SAFE) Act to provide a more lasting and comprehensive solution and to halt the export of horses to our North American neighbors. As the European Commission audit makes clear, the horse slaughter industry is reckless, unsafe, and inhumane, and those who profit by rounding up and butchering companion horses for their meat should stop defending it as some sort of altruistic act. Ask your legislators to help protect our nation’s horses through the SAFE Act. The biggest threat to red wolves continuing in the wild isn’t a lack of money or land. It isn’t landowner opposition. It’s the coyote. But oddly enough, the nuisance coyote just might be the reason the embattled U.S. Fish and Wildlife Service reintroduction program goes ahead, if it does. That’s the head-shaker takeaway from a recently released review of the wolves’ recovery program. The review’s conclusions are expected to be deciding factors in whether the service keeps pursuing the 30-year-old program. The decision is expected after the first of the year. The red wolf is a native animal and could be a stabilizing alpha species in an ecosystem getting overrun by invasive coyotes. The coyote has become a suburban menace. The report doesn’t give much room for hope – calling for expansion of the reintroduction effort and more funding if it is to continue. But environmental groups supporting the wolf’s return are pushing that the wolf belongs in the countryside, to try to turn the decision. “In the end, the red wolf is all we have left of the wolf in the Southeast. We can restore this cool, native wolf, or you’re going to have coyotes,” said conservation scientist Ron Sutherland, of Wildlands Network. The red wolf once was the Lowcountry’s own, an animal as big as German shepherd, that moves with a slinking feral grace. Hunted as a varmint, the wolf was pronounced extinct in the wild in 1980, when only 14 captives wolves were known to be alive. The recovery program was launched in 1987, largely as a wild breeding program at Bull’s Island in the Cape Romain National Wildlife Refuge north of Charleston. Now, the Alligator River National Wildlife Refuge in eastern North Carolina is the only place in the world where the wolves still run free. The coyote problem is one of the chief concerns raised in the review of the program by Wildlife Management Institute, a private Kentucky based group. The concern is two-fold. With a new night-hunting bill, South Carolina is inviting hunters to use almost any means to reduce expanding wild hog and coyote populations in the state. First, wolves occasionally interbreed with the coyote, producing an animal that’s been called the coywolf. The hybrid is a larger coyote with more of the wolf’s jaw – capable of bringing down larger prey – and with potentially a lot less of the wolf’s wariness about living near inhabited areas like suburbs. Already suburban communities around Charleston such as Sullivan’s Island are roiling with complaints about coyotes roaming. Researchers at the Alligator River refuge have launched efforts to keep re-introduced red wolves from interbreeding with coyotes there. Secondly, there’s controversy among researchers just how genetically distinct the red wolf is from the coyote. The species share large portions of DNA that varies from animal to animal. Some researchers aren’t convinced the red wolves remaining really ought to be considered a distinct species. The review is a periodic re-evaluation required under the federal Endangered Species Act. On one hand, prospects for the wolves’ return appeared to be improving. The Alligator River refuge now has more than 100 wolves in the wild and about 200 captive. Fish and Wildlife biologists are looking at placing breeding pairs of wolves along remote East Coast islands as an alternative to the semi-captive program now used. In this Oct. 6, 2011 photo, red wolves walk around their enclosure at the Wolf Conservation Center in South Salem, N.Y. The Wolf Conservation Center is raising and breeding endangered Mexican and red wolves. The animals roam in large pens on the 27-acre property, eating roadkill and whatever they catch. Bull’s Island, where that approach started the recovery, is one of the places under consideration. On the other hand, the program has been handcuffed by small budgets and staff – a shortage of both curtailed the Bull’s Island effort in 2005. Meanwhile, roving wolves are suffering a dire setback in the country outside the Alligator River refuge: They are being shot. The native red wolf is so similar to the invasive coyote that at least some of the wolves are getting shot by mistake. A law passed recently that made it illegal to hunt coyote in an area around the refuge. And now, after years of relative acceptance, the wolves’ presence is being opposed by a group of landowners there, angry that they now longer can rid properties of the varmint coyote. The review said the wolf’s distinct genetics need to be firmly established, and markers set for just how much DNA an animal must have to be considered a red wolf. Then, reintroduced wolves ought to be monitored for that marker – to see how much they remain wolves. For a program already decisively squeezed by budgets and stirring new controversies, the needs for more wild sites, genetics and ongoing genetic monitoring is more than enough for managers to pull the plug, and restrict the wolf to captive sites. Calls and emails to a Fish and Wildlife spokesman asking for comment were not returned. David Rabon, the longtime recovery program coordinator, has been re-assigned and is leaving the service. The pesky coyote, though, is prospering, and the wolves could be a prime weapon to keep it under control. 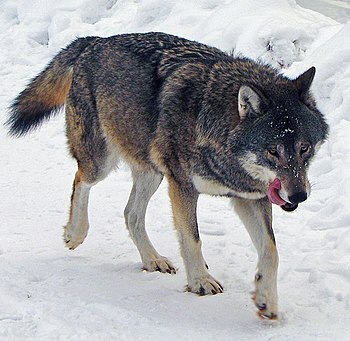 Despite occasional, apparently “loner” interbreeding, wolf packs tend to run out coyotes and other deer predators. At the Alligator River refuge, deer herds have improved. Spots like Francis Marion National Forest and adjacent Cape Romain could be big enough, he said. That’s what wolf supporters are banking on. Wildlands Network already is talking with private donors to take on some of the cost of continuing the program, including educating landowners about the advantages, Sutherland said. But he concedes what he sees from Fish and Wildlife suggests they are pulling back from it. The primary challenges and impediments with the recovery program are: the need for redundancy in wild populations (in places other than Alligator River), (genetic) integrity, the impact of interbreeding with coyotes and the needed size of the landscape and (private land) ownership in the restoration areas. The taxonomy (genetic difference from coyotes) of the red wolf remains unclear and the dominant ecological challenge to its recovery is (interbreeding) with coyotes. The high cost and indefinite duration (of the recovery program) raise serious questions regarding the value of continuing this approach. The original (Alligator River National Wildlife Refuge) area of 225 square miles was unrealistically small given the area’s habitat quality. The project has demonstrated the captive red wolves can successfully be reintroduced to the wild and rear offspring. SILVER CITY, N.M.— A new federal plan for managing endangered Mexican gray wolves in the Southwest would expand the areas where wolves could be released and roam, including farther south, east and west in both Arizona and New Mexico. But the plan, released today by the U.S. Fish and Wildlife Service, makes clear that wolves will not be allowed north of Interstate 40. As documented in a report recently issued by the Center for Biological Diversity, this runs directly counter to a draft recovery plan developed by a team of expert scientists in 2012, which determined that establishing additional populations in Grand Canyon National Park and northern New Mexico is critical to the ultimate recovery of Mexican wolves. Unfortunately the new plan, released as “final environmental impact statement,” will also give the Service great latitude to issue permits to private landowners or their agents, state agencies — as well as federal agents from Wildlife Services — to harass or kill wolves, including even for eating too many of their natural prey of deer and elk. The environmental impact statement was developed in the absence of a recovery plan for the Mexican wolf that could have provided recovery goals and a scientific foundation for decision making. The Center for Biological Diversity and allies filed suit against the U.S. Fish and Wildlife Service this month to compel finalization of a recovery plan; a 2012 draft recovery plan calls for growth of the wolf population to more than 750 wolves that would live in three connected subpopulations, including in areas north of Interstate 40, where wolves would be banned under the new rule. The new rule, subject to a final one-month comment period, is the first revision in management of Mexican wolves since 2000, two years after their reintroduction began in 1998, when the Service authorized releases of wolves captured from the wild into the Gila National Forest in New Mexico. The new rule would allow releases of captive-bred wolves into the Gila and portions of the Cibola (New Mexico) and Sitgreaves (Arizona) national forests, and would allow wolves to roam from the border with Mexico north to Interstate 40 in New Mexico and Arizona, but no farther. The Fish and Wildlife Service also proposes to grant broad authority to state agencies to kill wolves, including for “unacceptable impacts” to herds of elk or deer. TUCSON, Ariz.— A coalition of wolf conservation groups, environmental organizations and a retired federal wolf biologist sued the U.S. Fish and Wildlife Service today for repeated failures over the last 38 years to develop a valid recovery plan for the imperiled Mexican gray wolf, one of the most endangered mammals in North America. With only 83 individuals and five breeding pairs in the wild at last report, Mexican gray wolves remain at serious risk of extinction. The recovery plan, a blueprint for rebuilding an endangered species’ population to sustainable levels, is necessary to ensure the lobos’ survival and is legally required under the Endangered Species Act. Earthjustice is representing Defenders of Wildlife, the Center for Biological Diversity, retired Mexican Wolf Recovery Coordinator David R. Parsons, the Endangered Wolf Center and the Wolf Conservation Center. Service-appointed recovery scientists drafted a plan in 2012 that called for establishing three interconnected Mexican gray wolf populations totaling at least 750 animals as criteria for delisting, but the plan has never been finalized. 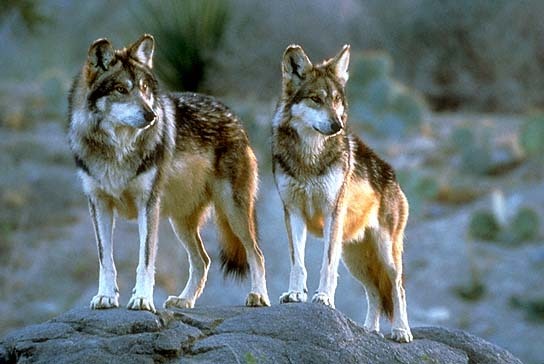 The abandonment of the 2012 recovery planning process leaves Mexican wolf recovery guided by the legally and scientifically deficient 1982 plan, which did not even set a population recovery goal. A new analysis of the Service’s failed efforts to develop a recovery plan released today by the Center for Biological Diversity reveals an agency that over three decades convened three different teams of expert scientists to prepare the much-needed plan only, in each case, to pull the plug once the plans neared completion. As detailed in the report, Deadly Wait: How the Government’s 30-year Delay in Producing a Recovery Plan is Hurting Recovery of Mexican Gray Wolves, documents obtained through the Freedom of Information Act demonstrate the most recent effort to develop a recovery plan was quashed by the Service in 2012 at the behest of the states of Arizona, Colorado and Utah, which did not want to see Mexican wolves recovered within their borders. “The Endangered Species Act is unequivocal in its requirement of a recovery plan based solely on the best available science regardless of politics and the level of controversy. That certain interests invited to the recovery planning table don’t respect federal law or reject the validity of the best science is no excuse for shutting down the recovery planning process and further endangering the extinction of the Mexican gray wolf” said David Parsons, former Mexican Wolf Recovery Coordinator for the U.S. Fish and Wildlife Service. The plaintiffs in the lawsuit filed today include two environmental education organizations that operate captive-breeding facilities providing Mexican gray wolves for release into the wild. Despite their efforts, Mexican gray wolf survival continues to be threatened by the lack of a recovery plan to ensure that wolf releases are sufficient to establish a viable population. The Mexican gray wolf (Canis lupus baileyi) — the “lobo” of Southwestern lore — is the most genetically distinct lineage of wolves in the Western Hemisphere, and one of the most endangered mammals in North America. By the mid-1980s, hunting, trapping, and poisoning caused the extinction of lobos in the wild, with only a handful remaining in captivity. In 1998 the wolves were reintroduced into the wild as part of a federal reintroduction program under the Endangered Species Act. Today in the U.S., there is a single wild population comprising only 83 individuals, all descendants of just seven wild founders of a captive breeding program. These wolves are threatened by illegal killings, legal removals due to conflicts with livestock, and a lack of genetic diversity. The Service has never written or implemented a legally sufficient Mexican gray wolf recovery plan. The Service’s most recent recovery team has done extensive, rigorous work to determine what needs to be done to save the Mexican gray wolf. Recovery team scientists agree that, in order to survive, lobos require the establishment of at least three linked populations. The habitats capable of supporting the two additional populations are in the Grand Canyon ecoregion and in northern New Mexico/southern Colorado. In July 2014, the Fish and Wildlife Service published a proposed revision of the rules governing management of Mexican gray wolves under the Endangered Species Act. The proposal includes provisions that would allow for increased take — or killing — of the critically endangered animals, and proposes to recapture wolves dispersing north of Interstate 40, which would prohibit the establishment of additional populations called for by recovery planners. The proposal is not based on a legitimate recovery plan. A heated meeting regarding the introduction of Mexican gray wolves south of Interstate 40 highlighted the efforts by the Arizona Game and Fish Department to push the federal government to create a management plan for the wolves. Winslow City Councilman Marshall Losey reported that the federal plan has no cap on the number of wolves and does not include any sort of plan for managing the population, including attacks on livestock. He noted that, according to information presented at the Oct. 15 meeting, Arizona Game and Fish is working to find a balance between the $28 million federal wolf recovery program and the concerns of local residents. Losey noted that the general consensus is that the program cannot be stopped and the wolves are going to be released throughout Arizona, so the best course of action is to try to establish a plan that will limit the population and provide compensation for lost livestock. “The thought is that there’s going to be a wolf rule one way or the other, so we better get on the right side of this,” he said. Game and Fish had previously reached an agreement with the Cattleman’s Association for a cap of 100 wolves, but the department has now asked to increase that number to between 300 and 325. According to Losey, Game and Fish officials feel that the federal government will not accept a cap of 100. “The feds have determined that 100 is not a viable number,” he remarked. Approximately 35 area residents attended the meeting, which was sponsored by Arizona Game and Fish, and of those around 25 were directly involved in ranching. Some ranchers were opposed to the release of any wolves in the area, while others agreed that the best course of action is to work with the federal government to limit the number of wolves. The current plan calls for the release of wolves across most of Arizona, including the areas south of Interstate 40 in the Apache-Sitgreaves National Forest. “The U.S. Fish and Wildlife Service is advocating releases to extend across the entire state as a means to ensure recovery,” Losey said. The Navajo County Board of Supervisors recently sent a letter to the federal agency protesting the lack of cooperation with state and local governments in creating a plan for managing the wolves. The letter notes that although meetings were held with state and local agencies, no real cooperation or input was allowed. Navajo County contends that the agency is not complying with the requirements of the Endangered Species Act by refusing to work with affected government agencies. “Specifically, to date, the service actions, or lack thereof, do not represent a genuine good faith attempt to develop an agreement, or even to actually work with the state and tribal agencies, local governments and stakeholders,” the letter notes. Losey noted that the action could have a significant impact on many area residents. “This is a great concern for many ranchers, farmers and outdoorsmen as an increase in the wolf population could have a significant impact on their livelihood,” he said. He explained that although there may be little chance of changing the plans for the wolf program, the best hope is to work for changes to the Endangered Species Act, which was passed in 1976. “I encourage people to contact their Congressmen,” he said.